LeoVegas Launches New Multi-Brand Platform - Another Company Goal! 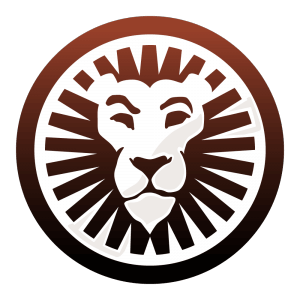 As online casino continues to peak all across the globe, LeoVegas makes it clear that they’re still a growing force the industry must recognise. After a recent report revealed the company’s financial woes, it looks as if they’re beginning to rebound. With this in mind, the operator recently announced the launch of their own multi-brand platform. According to the group, they can now promote customised trademarks under one collective name, Brands of Leo. As stated by the Groups CEO Gustaf Hagman, the launch of Brands of Leo was a long time goal for the company. In fact, he said the goal has always been to market a worldwide brand with a local touch. After reaching this objective, the company now plans to launch several more brands. Which, is proof the company is back on course to becoming a global leader in the igaming sector. He also said the new brands would distinctly target different customer groups. According to Hagman, some people look for functionality, and others are driven by the charm of novelty that new brands have to offer. By all means, the ambition of LeoVegas is clearly to raise the industry bar. In this case, it looks like they’ve done that once again! Going forward, it’s not clear as to when LeoVegas will launch their first brand. But, Hagman did say that it will be very soon. So, this will definitely be exciting to follow as developments begin to get underway. Indeed, the new brands will easily benefit from the company’s strong position in the industry. All and all, the multi-brand strategy is part of LeoVegas expansion plan that’ll contribute to the company’s 2021 financial target. Which, is £518 Million in revenue. Plus, £86.4 Million in EBITDA. Now, if that’s not a clear sign of determination, then we don’t know what is! On that note, stay tuned because this is going to get very exciting in the months to come!